a-idea studio»Products»a-staff»a-staff Team showcase plugin 1.2 – now with Gutenberg support! a-staff Loop block: does the same thing as the [a-staff] shortcode, but uses Gutenberg’s user interface. This way instead of typing shortcode parameters you can set them up using visual tools like drop-downs, text input fields, etc. a-staff Team Member block: shows only one team member’s box. 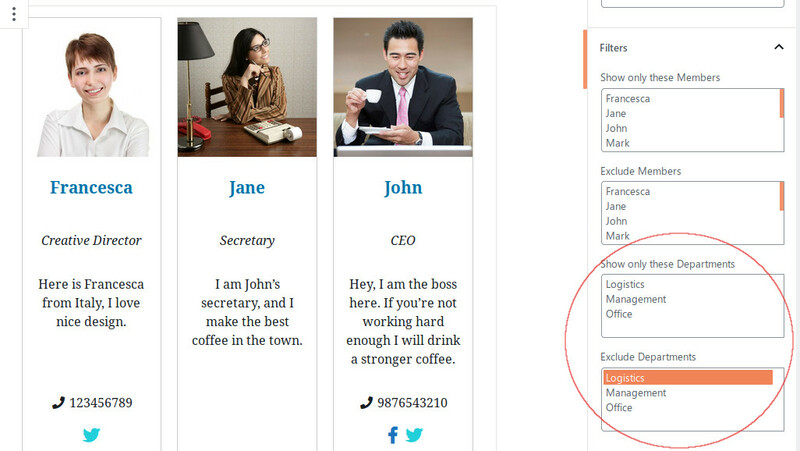 It’s useful when you want to show a short bio of one of your team members as an addition to your post or page. 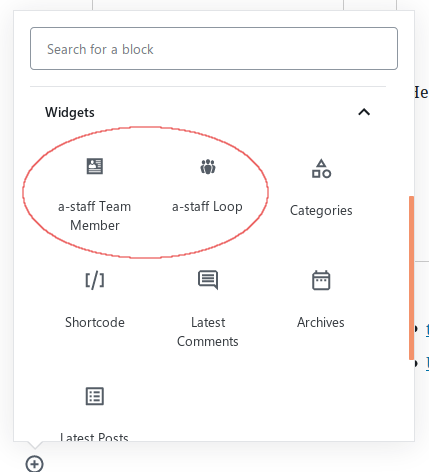 You can add the a-staff blocks to your Gutenberg pages just like any other block. Currently they reside in the Widgets tab of the block selector tool. 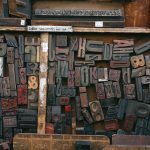 Read more about the a-staff Gutenberg blocks in the plugin’s documentation. Pro version: it contains some additional features for the plugin and enables its users to get priority support from us. Currently its only extra feature is the Departments part, but we are planning several new goodies for the upcoming versions. Install the Free version after Downloading it from here or from the wordpress.org plugin repository. Follow the instructions there (make the payment, download the Pro version and install it). Learn more on the plugin’s documentation pages. One of our users has recently requested that it would be great if they could separate their members on their team page by the departments they are working in. It was obvious that it had to be implemented in v1.2 as it can be a useful feature for bigger companies, organizations and sports clubs as well. Now you can filter for departments using the department=”department-name” parameter inside the shortcode or with the Inspector sidebar if you are using Gutenberg. Want to show all departments except one? That’s also possible as of v1.2 with the exclude-department=”department-name” parameter. The plugin’s banner and icon were revamped and got a more modern look. However, we are planning to add new sorting options in the next versions. 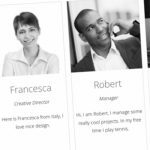 Do you want to add an Our Team (or similar) page to your WordPress site? Download the a-staff plugin and install it. If you face any issues or difficulties with it, please report them to us: our goal is to make this plugin as user-friendly as possible and your feedback is always valuable for us.